With the weather beginning to move to the cold, a question we hear from dog owners is whether their dog should wear a coat? 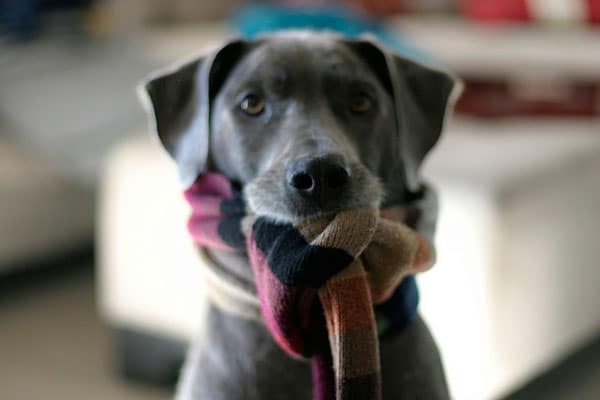 While every case is different, the short answer is that a coat or sweater for your dog is one of those things that only really helps your dog, but doesn’t hurt. More to the point, the question is whether your dog will truly benefit from a coat versus the time you have to spend to get them dressed up to go outside. We all want to take our dogs out more frequently and the coat can be just another “chore” to go through to take them out. So what dog truly needs a coat? The three categories of dogs all share a common problem: a difficulty in retaining body heat. If you have a dog with one of the above conditions, make sure to keep them extra dry and warm during the fall season. You may find that your dog will even like to wear a sweater inside to keep them warmer. Having a coat on your dog isn’t going to hurt them, so if in doubt bundle them up. We are sure they will appreciate it (mostly! ).